Do I Need a Foreign Filing License? Posted by:	C.G. Moore, Ph.D. 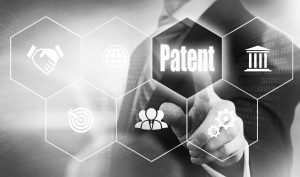 If your invention was “made” in the United States and you want to file a patent application anywhere outside of the U.S., then according to 35 U.S.C. § 184 the answer is “yes”. First, you need to know where the invention was “made”. Note that the inventors’ citizenship is irrelevant here. Inventive activity only in the U.S. If your inventive activity was in the U.S. (and only the U.S.), then you could just file an application with the USPTO (a provisional application will do). Assuming there is no security issue with the subject matter, after about 2 weeks the Office will send you a filing receipt that has a date after the statement: “If Required, Foreign Filing License Granted:”. If you don’t receive the filing receipt, or if there’s no date after the “Foreign Filing License Granted” statement, then you cannot file the application outside of the U.S. until six months after the date that you filed the application. A faster (better) option is to pay $200 for an expedited foreign filing license (FFL) from the USPTO. Just fax a cover letter (your petition), the material to be covered by the license, and a credit card authorization form to Licensing and Review (L&R) at 571-273-0185. The USPTO generally provides FFLs within 3 business days, and the staff at L&R are very helpful. Keep in mind, however, that the FFL you receive only covers the material that you submitted for review. If the disclosure that you provide to the Office leaves out important details, then your FFL won’t extend to those details if you add them later in your foreign filing. Inventive activity outside of the U.S. If your inventive activity was outside of the U.S., (e.g., in Europe), then you need to find out whether any local or regional laws apply. Fortunately, WIPO has a convenient guide (available here) that aggregates known FFL requirements in PCT Contracting States (i.e., most of the world). As of this writing, the listed countries are: Armenia; Azerbaijan; Belgium; Bulgaria; China; Cyprus; Germany; Denmark; Spain; Finland; France; United Kingdom; Greece; Israel; India; Italy; Republic of Korea; Kazakhstan; Luxembourg; Malaysia; Norway; Portugal; Russian Federation; Sweden; Singapore; Turkey; United States of America; and Vietnam. Clearly, you will want to check with local counsel before proceeding. Proceed with caution if you have inventors working in more than one country, like many multinational corporations do. Each country has its own laws about where you can (or must) file first, and what you need to do before you can file anywhere else. In these kinds of situations, it’s advisable to consult with counsel in all relevant jurisdictions to be sure you’re not making a mistake. Consider, though, an invention made jointly by inventors residing in China and the U.S. Both the U.S. and China require a FFL before the application can be filed in another country—a dilemma! In this scenario, you could use the USPTO’s expedited FFL procedure, and with the U.S. FFL in hand you can then file a “Request for Confidentiality Examination” with the Chinese Patent Office. Note, however, that translation into Chinese is required. After about 2 to 4 weeks you should receive your FFL. Alternatively, if you file the Confidentiality Examination request with a corresponding patent application, you may get your FFL in just a few days. Once you receive your FFL from China, you can file your other applications (e.g., priority applications, or claiming priority from the Chinese application). But wait, I’ve already filed abroad! All is not lost. Maybe. But this situation is much more difficult to fix. Suppose that you already filed a European application, and you just discovered that one of the inventors made their inventive contribution while working in (or visiting) the U.S. You may be able to correct this situation with a petition under 35 U.S.C. § 184 for a Retroactive Foreign Filing License (RFFL), and payment of $200. Explaining why the material was filed abroad through error without first obtaining the required FFL. The greatest obstacle is your verified statement. Firstly, a mere suspicion of error (e.g., “I’m not sure where the inventor was when the invention was made”) is not sufficient. You must give facts that show that an error was made, not just allege an error or possible error. The showing of diligent effort after discovering the error also requires statements of facts (who did what, and when), preferably supported by documentary evidence. The factual statements must come from the people having personal knowledge of the acts regarding filing the unlicensed application(s), such as attorneys, inventors, paralegals, etc. These statements should be supported by contemporaneous documentary evidence (emails, letters, etc. ), and the acts that you identify as “error” should cover the period leading up to and including each of the unlicensed filings.